We love Van's products at our house and since one of my kids has a gluten sensitivity, they are our go-to company for cereal, granola and snack bars. We can never have enough in the house and snack bars go fast! I was so excited to hear that they have added two new granolas and two new snack bars to their line! I am a HUGE granola fan and keep some in the house for a quick yogurt parfait or honestly just to snack out of the bag. We love both new flavors of their Soft-Baked Whole Grain Granola Clusters: Double Chocolate and Banana Nut. I rolled some of the clusters into Granola bites and added them to today's school lunches! 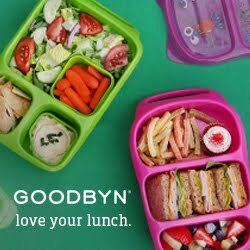 They are so delicious and a great addition to lunch. Van's also added two new snack bars to their line: Chocolate Gramwich Sandwich Bars and Banana Bread Bars. We already love their PB&J Bars and let me tell you these new falvors are amazing! The Banana Bread Bars blend banana flavor with gluten-free oats and flaxseed to create a tasty and portable version of banana bread. And they are delicious! I am so busy these mornings and never think about my own breakfast. I have been enjoying the Banana Nut Granola and the Banana Bread bars as a great way to eat on the go! My kids on the other side have been thrilled with the new Chocolate Gramwich Sandwich Bars! Made with real chocolate sandwiched between two whole-grain, graham-style bars, they’re a real special treat for snack or lunch! I have already requested these to be carried at our local grocery store to keep on hand for summer car trips and the pool! For now, we love them as an addition to lunch! To celebrate these great new products, Van's is having an amazing giveaway! One lucky reader will win a Van's prize pack for you AND a friend. The winner will receive the $100 Visa gift card, Van’s water bottle, tote, two reusable snack sacks and coupons for free Van’s Foods. The winner will also receive another set of swag and coupons but doesn’t include the visa gift card for a friend.